Proper trimming (or pruning) by arboricultural professionals requires patience, precision and education. Anyone can cut limbs and foliage from trees. At Integrity Tree Care, we strive to always make the proper cut, in the proper place, at the proper time. No branch should be removed without a reason. 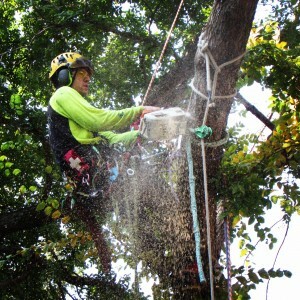 While we provide a number of services to enhance tree health, proper pruning is the cornerstone of our approach. It can be the easiest and most cost-effective way of ensuring good health of the tree, while also making it aesthetically pleasing. The proper cut allows the tree’s natural defenses to help compartmentalize the wound and promote strong structure and disease resistance. Cutting in the proper place enhances the tree’s natural structure and form without compromising health and stability. Proper cut placement allows the professional arborist to add an aesthetic component to pruning. Properly pruned trees look natural while merging with the needs of our urban world. Proper timing allows our arborists to enhance tree health, manage disease and regrowth issues, and again, enhance tree health. There is no bad time to prune most trees, but special circumstances sometimes dictate to the educated arborist a “better” time. 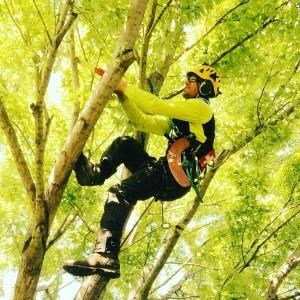 Consult with our arborist to discover all the benefits proper pruning to current industry standards can do for your trees. 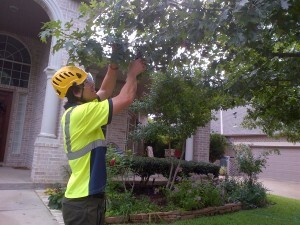 Our team is proud to provide the top-quality Dallas-Fort Worth tree trimming services. Contact our office today to discuss your needs and to go over details about what we can do for you. We’re here to help! According to the Department of Agriculture, trees should be trimmed or pruned at least once a year. An arborist will often “clean” the tree by removing all dead, diseased or weakly-attached branches from the crown (or top) of the tree. “Thinning” consists of selectively removing certain branches to improve the tree’s structure, help with movement and light flow, and retain the natural shape. If lower branches are getting in the way of buildings and/or pedestrians, they will be removed. “Reduction” makes the tree smaller in size, normally to prevent issues with utility lines. “Topping” is one of the most harmful things anyone can do to a tree. This is when the branches are cut off to stubs in an indiscriminate fashion. Topping can also be called “heading,” “tipping,” “rounding over” and “hat-racking.” Whatever the name, it’s never a good idea. 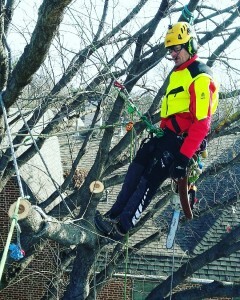 We strive to offer high-quality tree trimming in Fort Worth, Dallas and the surrounding area, and along the way, it’s our mission to educate our clients on proper tree and shrubbery care. Call us for excellent, competitively-priced tree pruning services today.